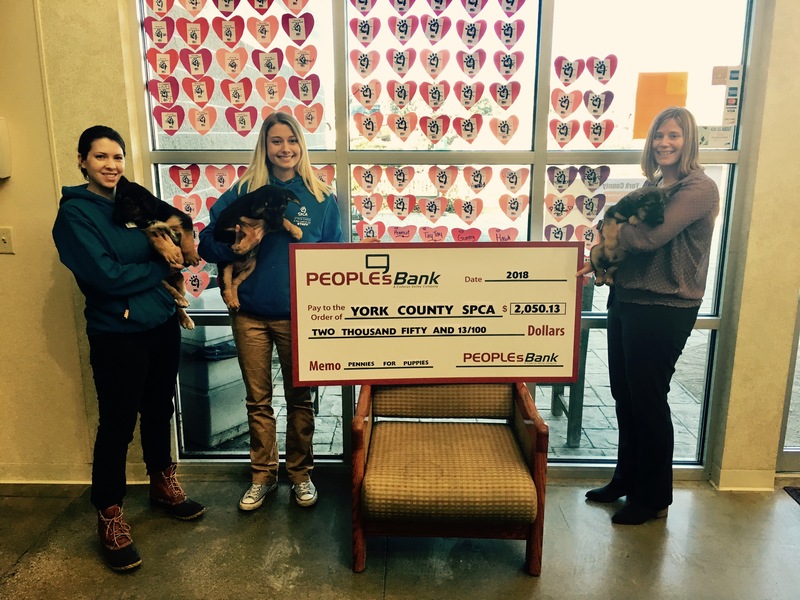 Our Marketing Officer and York County SPCA Board Member, Tricia Slagel, recently presented the York County SPCA with a check totaling $2,050.13. This contribution was the result of our 2018 Pennies for Puppies…and Kitties Too program that allows clients to donate through collection containers in each of our Financial Centers. Thank you to everyone who donated to this great program!